Actually I found something I liked even better, and cheaper, for my silver-plated dishes. 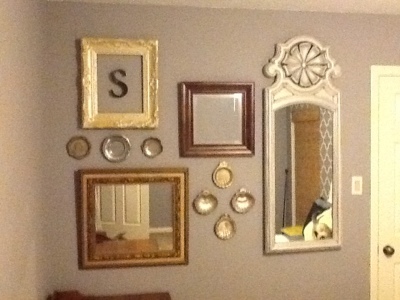 Command strips for picture hanging. The Velcro that connects the two parts is repositionable… Love that. It was cheaper than the discs… Love that even more! 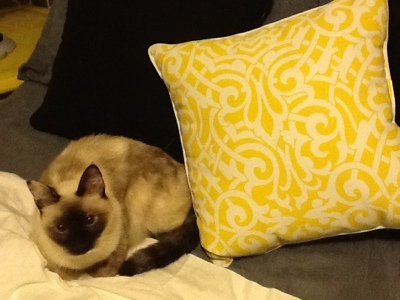 I also found a great yellow pillow on clearance at Pier One tonight too. I love it for $7.00! What do you think? The cat thinks she has moved in. That will not happen.